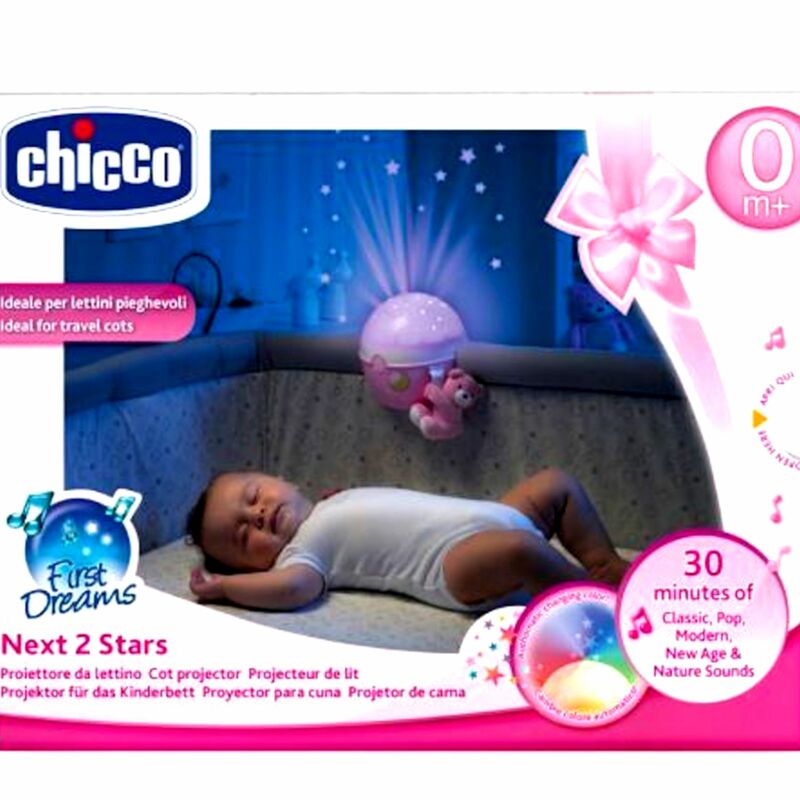 The Next2 Stars Projector from Chicco creates a soothing environment for your little one at bedtimes. 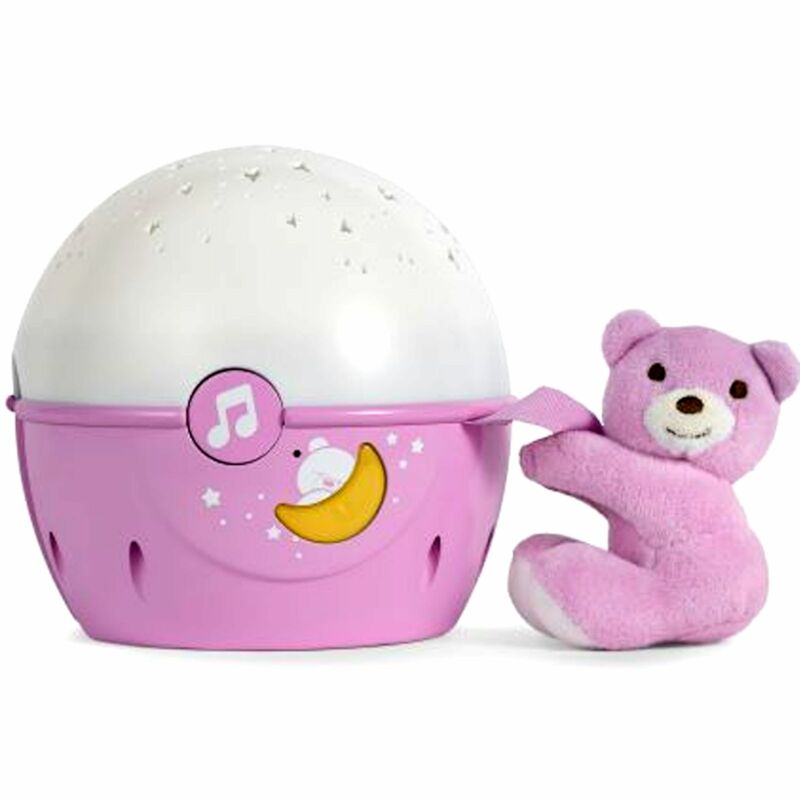 The moon button allows for 3 different modes; ceiling projection, night lamp and nightlight moon while the music button provides a range of relaxing music to help your little one drift off into a peaceful slumber. Also featuring a built in sensor which will activate the nightlight when baby cries offering calm and reassurance to your baby if they should wake.